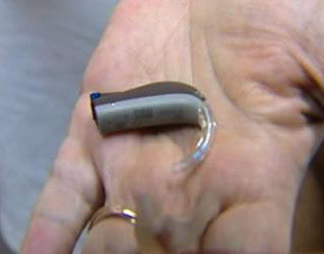 BRONX (WABC) — In the Bronx, the non-profit “Foundation for Sight and Sound” teamed up with a local hearing aid company to provide hearing devices for 20 people who otherwise couldn’t afford them. Hearing loss can afflict both the young and the old. Saturday’s “hearing mission” took place at Montefiore Medical Center. Hearing devices can be out of reach for many people who need them, because they’re expensive and not usually covered by insurance, Medicare or Medicaid. This was the second “hearing mission” sponsored by McGuire’s Hearing Aids and “The Foundation for Sight and Sound” at Montefiore. Support from community organizations such as the Bronx Rotary Club and Chamber of Commerce should insure it will happen again.